Antique victorian style furniture is considered highly collectible, especially if the items are authentic. If you are considering collecting these stylish furniture pieces, let us help you to find out where to find them, how to care for them and how to identify authentic antique furniture. Love the Victorian era? Many people collect everything Victorian, primarily because they believe that it was a romantic time period. Elegance and opulence are embodied in everything from this era; from the highly decorated clothing down to the last intricately designed Sterling Silver sugar tong. While it may be difficult to find clothing that has withstood a century of storage, furniture items are abundant if you shop in the right places. Resist the urge to immediately refinish your new antique piece of furniture. While making it look new may seem like a good idea, it usually devalues Victorian furniture pieces. Unless you are a professional refinisher and are well acquainted with antique appraising, don't touch that antique! Obviously, repairs may need to be made, especially if it has been stored in less than perfect conditions. Who should you turn to for delicate repairs, refinishing or reupholstering jobs? One of the best places to find people who work with antique furniture is your local antique store. Antique buyers become well acquainted with individuals who do reupholstering and repairs either because they themselves need assistance in their business or because they have purchased items that have been worked on. Antique dealers can steer you in the right direction and tell you whom to avoid when you're looking for a special craftsman. 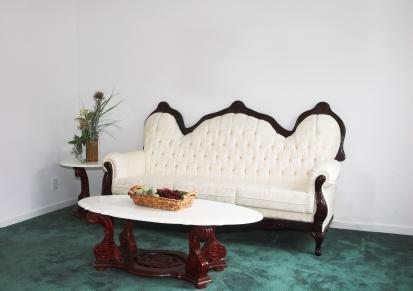 Collecting antique Victorian furniture is a fun hobby as well as an investment. Nothing beats the thrill of finding a beautiful piece and showing it off in your home. While collecting fine furniture is fun, it is also important to learn as much about this hobby as possible from books and other collectors. Preservation is an important part as furniture from this time period often survives the collectors themselves. Finally, collect pieces that you really enjoy and avoid buying antique furniture that requires a lot of work. After all, you want to enjoy the antiques that you collect in your home, not store them in your garage or basement.